Heat oven to 375°F. 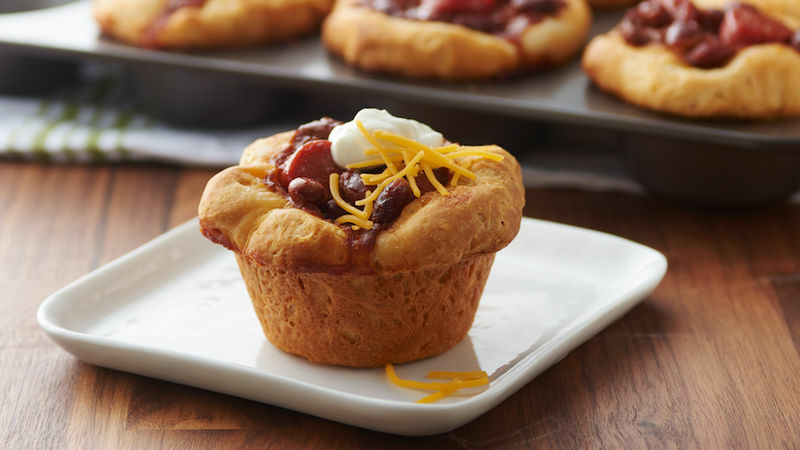 Spray 8 regular-size muffin cups with cooking spray. In medium bowl, mix chili and hot dogs. Separate dough into 8 biscuits. Press each biscuit into 5-inch round. 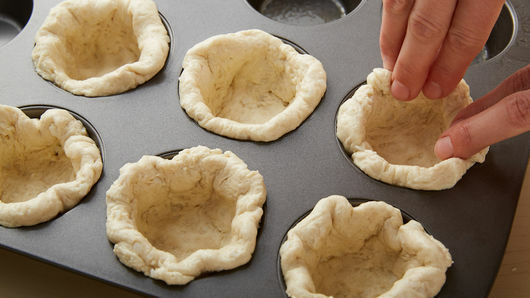 Place 1 round in each muffin cup. Firmly press in bottom and up side, forming 3/4-inch rim. Spoon about 1/4 cup chili mixture into each muffin cup. Bake 25 to 30 minutes or until biscuits are golden brown. Cool 5 minutes; remove from pan. Top each with small spoonful of sour cream; sprinkle with Cheddar cheese. You can use shredded pepper Jack cheese for a little more kick. 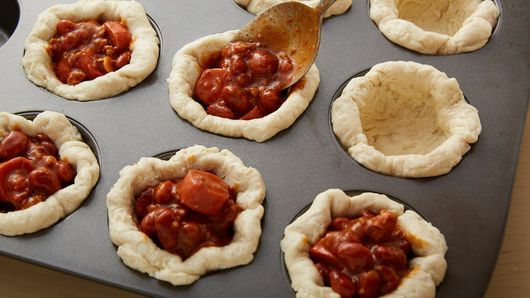 Make sure to form rim around top edge of muffin pan with biscuit to make cup for chili.